President Barack Obama celebrates his 55th birthday today and no one could be happier than his right hand man, Vice President Joe Biden. While Michelle Obama took to social media and posted an endearing birthday message, Biden may have just topped her with his own special post. In honor of the President’s last birthday in office, Biden posted a picture of an over-the-top, adorable friendship bracelet with both his and Barack’s name woven into it. Throughout their years together in office, it’s become widely known that the Vice President and Obama have become the best of friends. 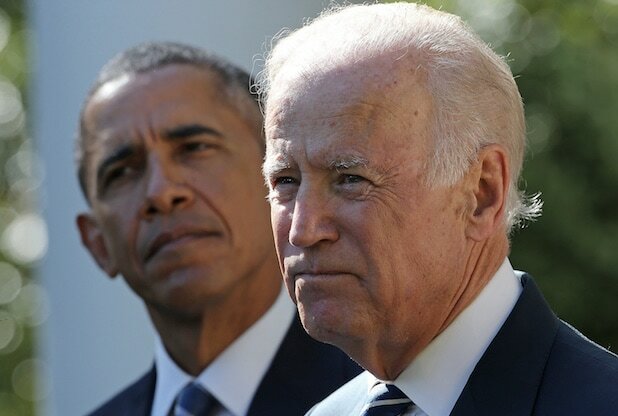 “A brother to me, a best friend forever,” Biden tweeted. Biden’s gift to the president gives us all friendship goals. See the cute post below. Is President Barack Obama the coolest president ever? Let's investigate. First: He's the only president to end his White House Correspondents' Dinner with a mic drop. The then-presidential candidate just shook the haters off his shoulders. In a campaign speech, he acknowledged how during this time he understood that people would be attacking him and spewing negativity, but in the ultimate moment of swagginess Obama showed that you just shake them off. Barack Obama can make babies stop crying. At first, Michelle Obama was cradling a crying child who wouldn't stop wailing. She then hands the baby over to her husband and the baby almost immediately stops crying. During President Obama's first presidential campaign, and well after, theories regarding his citizenship came into question. Politicians like Mike Huckabee and Donald Trump all fed into the theories claiming that Obama was born in Kenya. So the President took it upon himself to refute all these claims about his birthplace by publicly showing his "birth video." The president is quite possibly the King of having the classiest clap backs. When Obama was giving his 2015 State of the Union address, he said "I have no more campaigns to run," which drew sarcastic applause from some Republicans. He then went off script and responded with the ultimate burn: "I know because I won both of them." The leader of the free world dancing on Ellen's show is reminiscent of your cool uncle getting down at the family reunion. Look at his moves though. So smooth. The Commander-in-chief is not above reading mean tweets. Even when the press slams him and his policies, he remains composed and rarely lets his emotions get the best of him. Well, at the 2015 White House Correspondents' Dinner the leader of the free world was just plain tired of playing nice. He let "Luther," played by Keegan-Michael Key, come on stage with him during his address to the press to serve as his anger translator. Like every POTUS, Obama pardons a turkey around Thanksgiving. But he added his special twist by throwing in some dad jokes in the seventh year of his presidency, delighting in making his daughters cringe. He didn't even seem to care that some of his punchlines flew over some people's heads. He just did him. He transcends swag -- he's spiritual. Giving his eulogy for Rev. Clementa Pinckney, who was killed during the Charleston church shooting, he deviated from talking to sing "Amazing Grace." By the time he got to the second line, the entire church was singing with him. No one tells Obama what to do. The President was voting next to a woman who happened to have a boyfriend, the boyfriend walks past and tells Obama "don't touch my girlfriend." Fair enough, the leader of the free world ends up giving her a kiss instead because he does what he wants.